Listen up, ladies. Are you single, but looking? In love, but hesitant and in the dark? 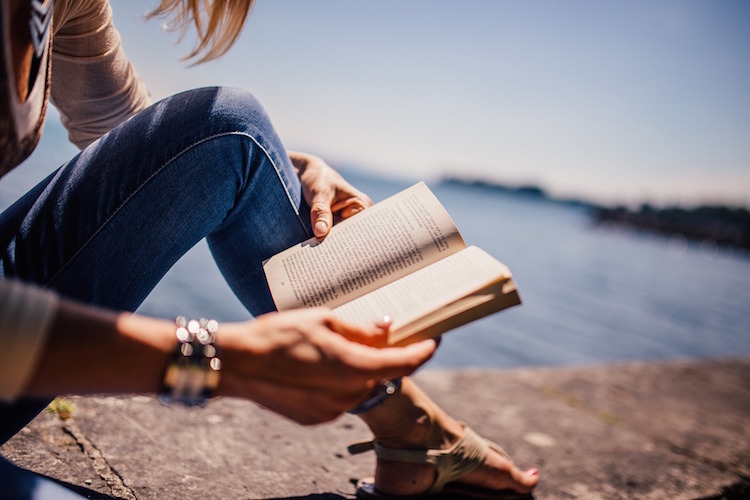 Check out these self-help books offering dating advice for women who want to understand and fall in love with men for real. This could be considered the ultimate guide for single women trying to figure out who is right for them. Danks gives all sorts of advice, and you will appreciate hearing things from the male perspective. Learn how to find the person who will treat you right no matter your circumstances, and more importantly, gain the confidence to get out there and find the guy you deserve to be with. The book includes a little bit of dating advice as well as how to deal with things like divorce. This book was written for two kinds of women: those who already have a man and want to make sure he sticks around, and those who haven’t found Mr. Right yet – and really, really want to. This is a book full of no-nonsense advice, written by a man who wants nothing more than to help women understand why men think the way they do, and how to use that to advantage their relationships. Learn the secrets about what men really want and need, go out and give it to them. Any woman who wants to feel empowered and in control of her dating life should read this book immediately. Hartman’s philosophy on dating is that it is meant to be enjoyed, and general dating advice just doesn’t cut it for those who really want to succeed. This book will show you all the science based tactics you need to know to figure men out before even getting the chance to know them. Learn how to tell if he’s interested in you before you go out. Get the courage to make the first move, regardless of the consequences. Have you ever stayed awake late into the night wondering what he really thought about you, and how to tell whether or not you were making the right moves on the right person after all? This book is here to break the news to you that the answer might be much simpler than you think: he’s just not that into you, and there’s nothing you can do to change that. Read this guide so you can learn how to tell if what you interpret as mixed signals or hidden flirtations are just him trying out subtly tell you that he’s not interested – never has been, never will be. Dive into the secrets of how men really think and behave to get your attention and keep you around. This book is written by someone who knows how guys think and pursue women, and he wants to help you learn to use those tactics in your favor. There is a specific way men think about and go after who they want, and if you want him too, you will have to first understand where he is headed and meet him there. Everything you ever wanted to know about the real way men are, and more. Compatibility plays a role in dating more than you think it does, and you can use it to craft relationships that will bring you the happiness and love you deserve. This book is for women in all stages of dating and relationships, from the married and unsure to the single and hopeless. Relationships expert Barbara De Angelis has created a formula that you can use to find a relationship with a man that will last a lifetime, and you definitely don’t want to miss out. This book is full of secrets, and you’re going to want to hear them. Men are sometimes hard to figure out, but really, it’s just a matter of understanding that they think and react differently to certain situations and feelings than we do. While you might want to talk it out, he might not, and that’s OK. This guide will help you to learn how to talk to the guy you’re interested in, how to dress, figure out which guys are interested in long-term commitment and which aren’t, and so much more. If you are convinced dating isn’t a science, you really need to read this book. Harvard grad Rachel Greenwald conducted in-depth research, interviewing literally 1,000 single men to try and figure out why sometimes men want to stick around, and why other times, they just seem to vanish. Gain a better understanding of how single men view the dating world you can never seem to navigate correctly. They go into helpful detail about what turns them on and off and what they really want to see and hear. If you want to know what a man thinks about, you’re going to have to trust a man to tell you how it works. This book is the ideal place to start. Your dating life isn’t hopeless. You just haven’t picked up any of these relationship advice books yet. What are you waiting for?